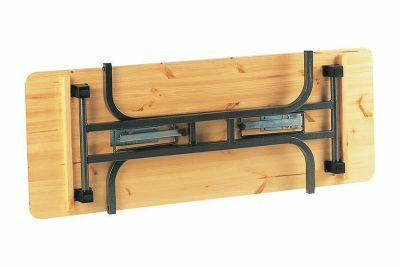 Folding event table for use outdoors, the table sports a thick hard wearing tubular frame that folds for easy storage options. This specialist range of furniture is delivered within 10-15 days from order. 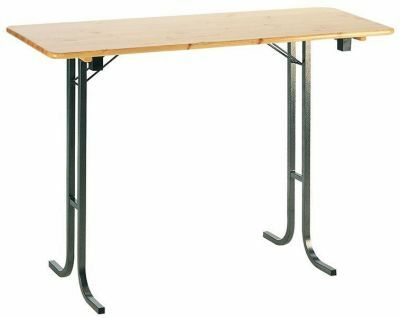 Large rectangulary folding table popular with events and occasional use. The table includes an attractive natural wood finish top and strong folding frame.